International exchange and interaction with foreigners… At the Hostel Korea, the world is under one roof. 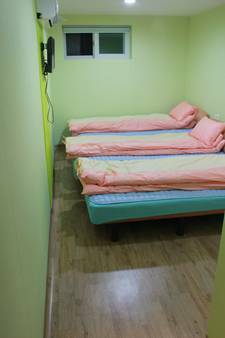 Hostel Korea is a guest house that provides quality service at a bargain price to travelers visiting Korea. 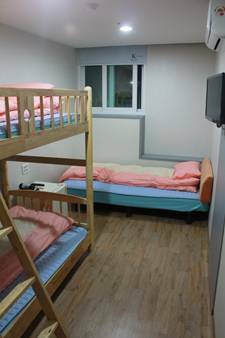 Hostel Korea is located in the heart of Seoul, near Dongdaemun, which makes it very convenient for travelers to move around the city. Travelers can get to the main tourist attraction within 5 to 10 minutes. 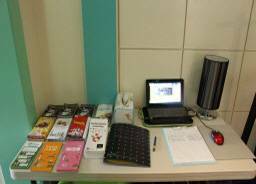 friendly service, we are confident that Hostel Korea is the best Hostel for travelers. Take the airport limousine bus number 6002 at 5B or 12A at Incheon Airport and get off at Dongmyo Station. Then cross the crosswalk, and turn right. Walk straight until you come to the convenient store(C-Space). Go right here for 2 blocks. And turn right. 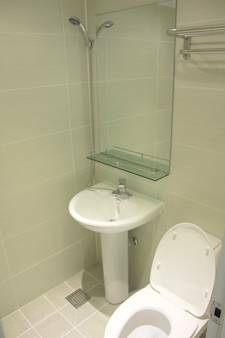 You will see HostelKorea. Get off at Sinseol-dong Subway Station(line 1, line 2). Get out of Exit gate No 11. Then walk straight till you reach Hollys Coffee shop. There are three roads. You will see the road on the left side of Hillstate Apartment. Walk down that road and make right turn. Hostelkorea is at second block on your left.